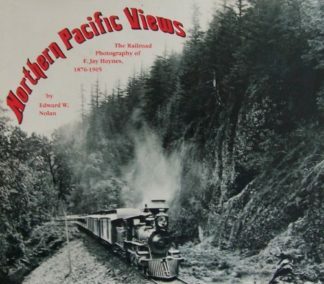 This 11″ x 8-1/2″ 288-page hardcover horizontal format book features SP Steam, The Sierra RR, West Side Lbr. Co., Pickering Lbr. Corp., Feather River Rwy., SP Narrow Gauge, Damp;RGW Narrow Gauge, Southwest Lbr. Mills, Hillcrest Lbr. Co. Ltd. and more! Glenn Beier is a photographic artist. 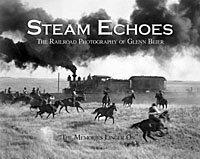 Over fifty years ago, after graduating from the prestigious Art Center School of Photography in Los Angeles, he quietly began seeking out and photographing the last vestiges of steam-era railroading in the western United States. 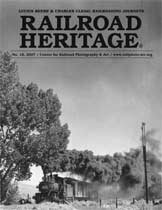 Inspired by those who came before him, Glenn purposely sought to capture the essence of narrow gauge, shortline and logging railroads of the West. 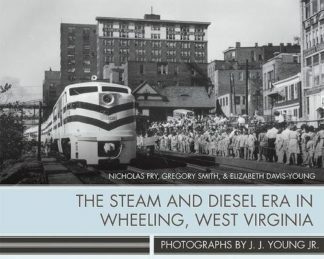 Not satisfied with typical locomotive portaits, Glenn strove to create images that would evoke feelings of the power, massiveness and “aliveness” of the soon-to-vanish steam locomotives working in their natural habitats, and to record the character and individuality of the people who, on a daily basis, brought them to life and put them to work. His success in this lifelong endeavor speaks for itself-the stunning artistry of his black and white images will inspire us for generations to come.